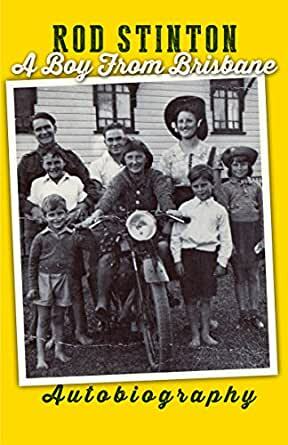 Growing up in Brisbane in the 1940's in a poor family offered a rich playground for skills such as larking, pranks, scams, and defending one's honour. Devising ways to earn a little 'moolah' was one of the shaping forces of the boy who later became an MD and Psychiatrist. The mother who was too embarrassed to have visitors to her unpainted house, would later be devilishly proud of the boy who became a Doctor. Fancy that - a Doctor in the family! Rod Stinton: A Boy from Brisbane is a story of history, familial recollections and tongue-in-cheek observations from an ambitious and lively boy who grew into an equally energetic, productive man. Be prepared to laugh at the candid and politically incorrect stories of the Stinton variety. a politically incorrect but searingly honest account of growing up during the second world war years. Family dynamics play a large role in shaping the life of this yougest child of seven.